His Machine Gun Kelly response track had a record-breaking debut. 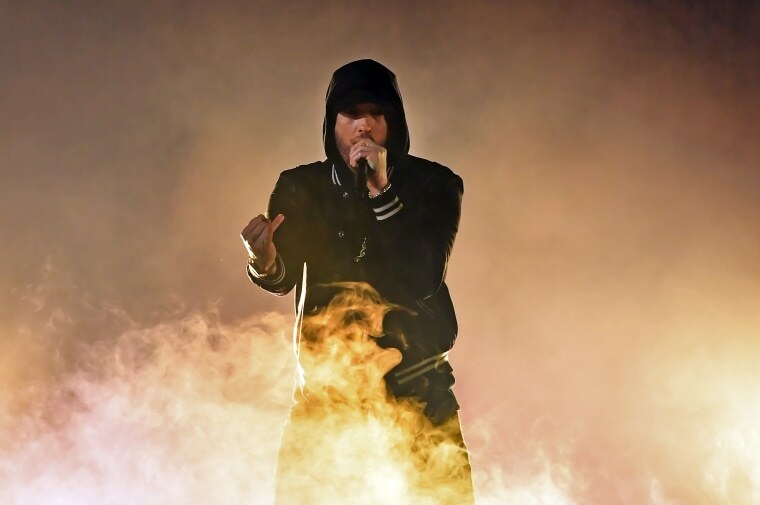 "KILLSHOT," Eminem's response to Machine Gun Kelly's diss track "Rap Devil," sent shockwaves through rap when it was released on September 18. The song clocked the biggest debut for a hip-hop song in YouTube's history, and attracted a fiery diss from Jay Electronica. Now, boosted by the attention it's received, "KILLSHOT" is set to debut at No. 3 on the Billboard Hot 100. It's the 20th top 10 single from the Detroit rapper, and according to ChartData, it's already eligible for a gold certification. Eminem released his new album Kamikaze in August. The album rode a wave of controversy over a homophobic diss to first week sales of 434,000 units. 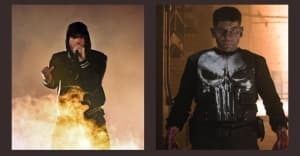 Eminem's "Killshot" is now eligible for Gold in the US.